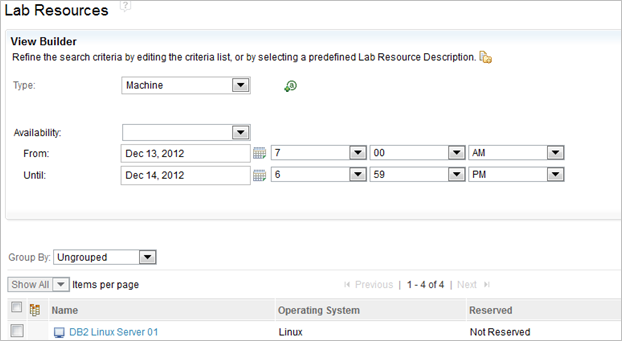 Lab machines or virtual machines can be discovered through integration with IBM Rational Build Forge or IBM Tivoli tools. Asset inventory can then be synchronized on a regular basis to keep up with configuration updates. If no corresponding machine is available, you can request a new configuration to be setup for your specific needs.